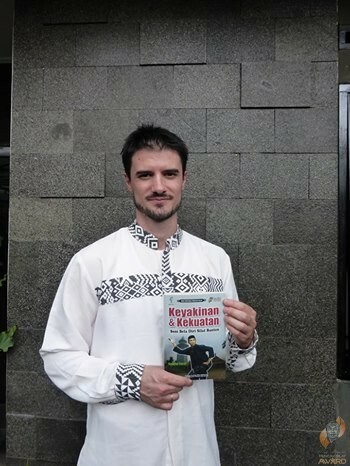 Keyakinan dan Kekuatan is developed from a Ph.D. dissertation, originally entitled (in French) “La foi et la force: L’art Silat martial de Banten en Indonésie,” written by Gabriel Facal. Facal is an ethnographer and a martial artist who has been practicing in various silat (traditional martial art) schools (paguron) in Banten, Indonesia. Nicely translated by Arya Seta, it was first published in Indonesian to target Indonesian readers. As its title suggests, there are two unique aspects of the Bantenese Martial Arts: faith (“keyakinan”) and force (“kekuatan”). Facal argues that the interweaving of these two aspects has differentiated Bantenese Silat from other kind of martial arts, even within Indonesia’s regional martial arts traditions. Strengthening faith is considered the first step to learn silat rituals. After this first step, faith is instrumental to be integrated in the fighting techniques/the forces of the silat. Faith and fighting techniques complement each other in order to gain physical, mental, and moral power, at the same time. Thus, in Bantenese martial arts, both religion and ritual practice are blended and in turn strengthen each other to perfection. The first part of Keyakinan dan Kekuatan discusses the roots and spread of Bantenese Silat. There was an interplay between silats from different parts of Indonesia: Lampung, Sunda, and Betawi with Silat in Banten. This interplay could be observed from the silat rituals, movements, and breathing techniques. This part also explains the historical development of martial arts in Banten. It was developed by some prominent jawara (silat practitioners) and Kiai (local Islamic leaders) as a tool to defend themselves against the Dutch colonial forces. During the New Order period (1967-1998), many of its jawara and kiai were organized as part of the regime’s quasi-Praetorian guard in the local scene. This pattern still continues, however. In this part, Facal concludes that various rituals in Bantenese silat were influenced by Islam as adapted in local culture. As a result, for the Islamic religious men, it has become a form of devotion. The second part of Keyakinan dan Kekuatan discusses five main silat schools in Banten: TTKDH (Tjimande Tarikolot Kebon Djeruk Hilir), Terumbu, Bandrong, Haji Salam, and Ulin Makao. These five schools are selected based on the number of its practitioners, geographical coverage, number of branches, and their roots in Banten society. TTKDH is the most important silat school because of the strong documentation of its techniques, structure and rituals, wide dissemination and its engagement with the world of politics. The story of the TTKDH makes the largest chunk of this second part, that readers can even get a very detailed explanation of its techniques. It is because Facal is one of its members and has trained this school for over 15 years. Two other schools, the Terumbu and the Bandrong, are the two oldest silat schools in Banten, both are traceable and claim their roots back to the Banten sultanate period. The Haji Salam school is described as a comprehensive submission martial practices and its secret activities. Lastly, the Ulin Makao school is considered as a blend between Silat and Chinese martial art. 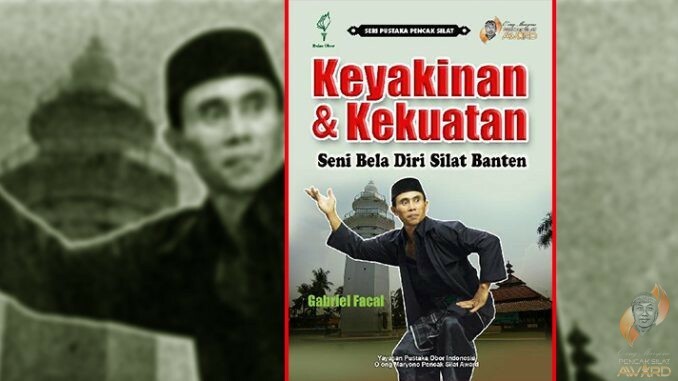 In his description, Facal explains the history (mostly, based on oral history), techniques, rituals and socio-political aspects of each silat school in Banten.